The supermarket, off the A259, already opens between 6am and midnight but will not close between December 20 and 7pm on Christmas Eve. At a meeting of Arun District Council’s development control committee on Wednesday, concerns were raised about the increase in noise and light pollution. 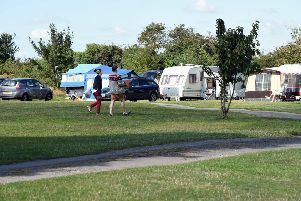 Stephen Abbott, of Ferring Parish Council, said the council had ‘an obligation’ to residents in nearby roads such as Bennett Gardens, Kilham Way and Winton Close. David Bettiss, chairman of Ferring Conservation Group, called the new opening hours ‘unnecessary and most unwelcome’, adding: “The store was only granted planning permission in the first place on the basis of 6am to midnight opening. Questions had been asked about the opening hours of other nearby supermarkets. Dawn Hall (Con, Pagham) had sympathy for Christmas shoppers, stating: “Not everyone can go and do their shopping during the day. This was not a view shared by Barbara Oakley (Con, Middleton-on-Sea). Mrs Oakley said: “It’s a massive car park at Asda superstores and I can see it being used by people on motorbikes and things like that thinking ‘oh boy, oh boy, we can have a couple of hours fun round here while the car park’s still around’. “Which means it’s got to be policed, which means you’ve got to have extra staff and security. Members were told that the extended opening hours would not apply to the petrol station or to delivery lorries. They were also told that the permission would be temporary so that any complaints received could be investigated should a similar application be submitted next year.